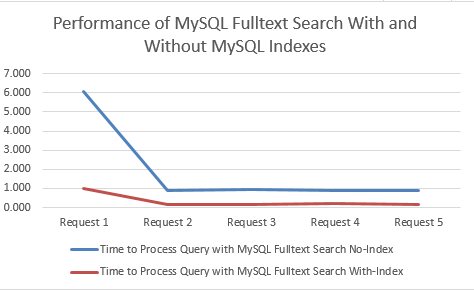 I thought it was handy to do a bit of performance testing with MySQL Fulltext Search to quantify how much benefit a MySQL Index has while querying large data sets using MySQL Fulltext Search. 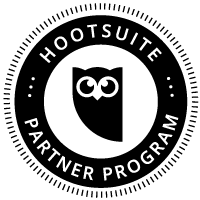 The reason this came about was due to the performance of SQL queries running against the dataset powering the search engine behind https://www.tendojobs.com/. While there is a lot of complex technology behind the scenes powering the search functionality of Tendo Jobs, one piece of this technology mix is the MySQL Fulltext Search functionality. It was noticed that for certain queries the time to run the queries was sub-optimal. Hence, I decided to do a bit of performance testing on this. 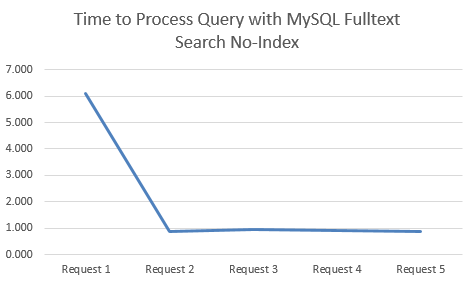 MySQL Fulltext Indexes are essential when querying large datasets, although MySQL Fulltext Search doesn’t work on all data types, which is rather annoying. According to the official MySQL documentation on MySQL Fulltext Search, https://dev.mysql.com/doc/refman/5.7/en/fulltext-search.html, the only options for using MySQL Fulltext Search are on columns with the datatype of Char, Varchar, or Text. Which is kind of limiting as datatypes such as Blob can be extremely valuable for storing larger data sets, but hey. This the limit, so for MySQL Fulltext Search, that is what you’ve got to work with. So, onto the performance side. I started with the dataset of searches run by users of Tendo Jobs to gather some real search data. From this I tested the performance of the queries when using both Indexes and No-Indexes. What was clear on both approaches was that the first query always took significantly longer than the subsequent queries for the same search term, so to avoid any potential discrepancies, this is highlighted below. 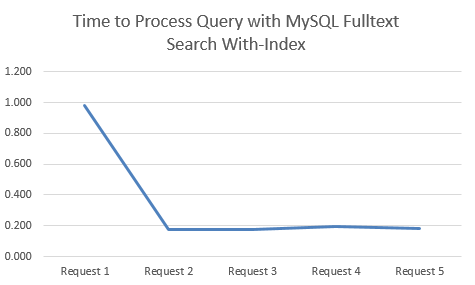 MySQL Fulltext Search with an Index clearly performs significantly better. 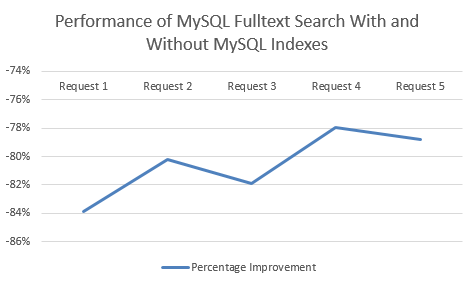 Between 78% – 84% improvement by using an Index when querying datasets using MySQL Fulltext Search! Just use Indexes, they are awesome. But it’s great to quantify this in terms of performance improvement on larger data sets, along with the limitations of MySQL Fulltext Search. As a final note, MySQL Fulltext Search is not designed to be a search engine, so bear this in mind. It is good up-until a point, so always keep an eye on performance when querying large datasets.